Electric motor bearings have three purposes – to support the rotor, maintain a consistent air gap between the rotor and stator and to transfer loads from the rotor shaft to the motor frame. Bearings play a crucial role in electric motor operation but naturally in time they wear away and must be replaced. 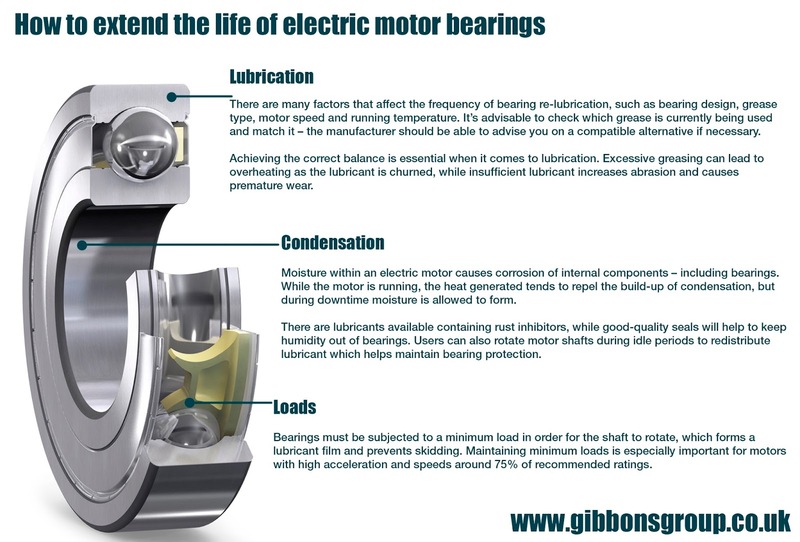 However, there are ways to maximise the operational life of electric motor bearings and maintain the efficiency of your equipment. We take a look at a few of them here. Gibbons Engineering Group offer service and repair for electric motors and most other electro-mechanical devices. Call us on 01621 868138 or email info@gibbonsgroup.co.uk and one of our expert engineers will be happy to help.